2 or 3 time more expensive than other similar website. I’m amazed just how costly libertyVPN is when compared to it’s competitors and the fact you only get a specific country VPN for the grossly over inflated subscription! 1 word for you liberty lovers……WITOPIA. I just subscribed and while I have to say it is quite easy to set up and it works fine, I would say the speed is lacking. I get upwards of 6mb/s, but when I connect through Liberty VPN, it drops to 1mb/s. At 19.99 I expected more…also beware of the re-occuring subscription that you have to cancel manually. 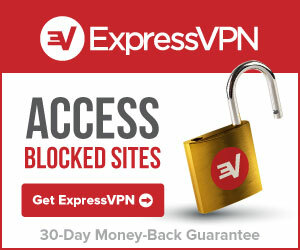 This VPN service is awesome. Its very fast and affordable and I haven’t had any issues with it. The customer service is also great they helped me go through some questions I had with the service and answered them very professionally. I recommend LibertyVPN to anyone who is looking for a good reliable service. yo! the quality and price of the vpn server is amazing! i got exactly what i paid for, and i have no regrets. now i can watch many things that i hadnt been able to before. Thank you for the service your company has provided over the last couple of years, it has been very easy and trouble free. Liberty VPN is by far the most reliable VPN solution that i have tried. Excellent support! In some occasions the speed does drop but in general it is quite fast. The price could have been a little cheaper. But overall TWO THUMBS UP, highly recommended! Your service has been very good over the last few months, thank you for your prompt replies, good service support, and a fast VPN – I will gladly use you again. Thank you for your great service. I will use you again in the fall when I am back overseas! As I write this Liberty VPN is down. However I’ve been using Liberty VPN for about two months now and this is the first time this has happened. I first got the service for a reason few other people would think of, my overseas ISP decided to block a few ports that prevented me from logging on to World of Warcraft, I was so frustrated at the trouble shooting process that I just bought the VPN tunnel in order bypass it, sure enough it worked. Afterwards I realized I could use it to watch media websites that is block foreign IPs. For the first few weeks I had regular slowdown and had to wait frequently for buffering. Despit my ISP giving me a 100mb/s connection, I was only getting 3 mb/s connection with Liberty. Things have improved, but there is still the occasional wait for bufering (every three episodes). The speed is no issue for playing WoW. I have lost connection midstream a couple of times. This happened a couple times in the beggining, never while playing wow, but occasionally while watching Hulu. A couple times I required a reboot to reconnect. I’ve been burned by scam companies before, namely megaproxy, so I was apprehensive about trying a VPN tunnel. 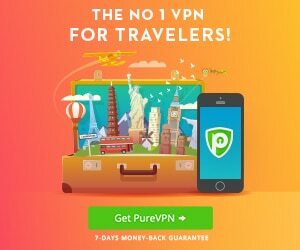 Liberty VPN is most certainly a legitimate company. You pay for a VPN tunnel, and you get one (within 12 hours of ordering for me) It might not be the fastest connection, and you might see a few hiccups now and then, but you will not get burned. One last note: setup was too easy.